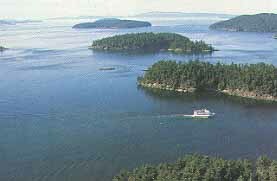 The San Juan Islands have long been known for their profound natural beauty, contrasting landscapes and island mystique. Many people find inspiration here through the experience of being so close to the natural world. Each of the islands offer distinct personalities, activities, and landscapes. The islands are home to bald eagles and orca whales, river otter, deer, fox, and many other creatures that are part of an ecological system, a web of life. Visitors can join with residents to act as stewards of this incredible natural environment by learning about the natural history of the islands and becoming aware of the life around us. Together, we will all learn how to effectively preseve and share the beauty and life of the San Juan Islands.